Today's press release was different, though. Today, AT&T announced what it believes to be the very future of its network infrastructure - both wired and wireless - and it is insane. AT&T calls this initiative Project AirGig, and claims it's the result of 10 years of research and over 100 patent applications. The short of it? AT&T wants to be rid of the days of burying fiber lines and tearing up roads and sidewalks to expand network reach "the last mile." Expensive network towers would be less needed, and in their place would be much lower cost repeater and access point equipment operating on advanced (I know, I know - I'm losing you, hold on) network technologies. You may say "this sounds a lot like small cell sites." But AT&T's AirGig project is actually something new entirely - it's a highly distributed network model that could completely change how we deploy both wireless and wired internet in the future. The big trick? Power lines. AT&T believes it has created reliable methods by which existing medium-voltage power lines can be used to help transmit blazing-fast millimeter wave signals between a huge number of access points. 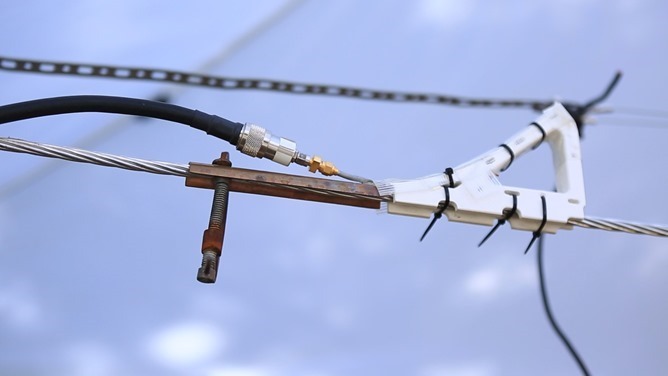 Whether using complex base stations like you see in the hero image of this post, powered signal repeaters like you see in the image above, or unpowered "guided mode" antennas as in the image below. 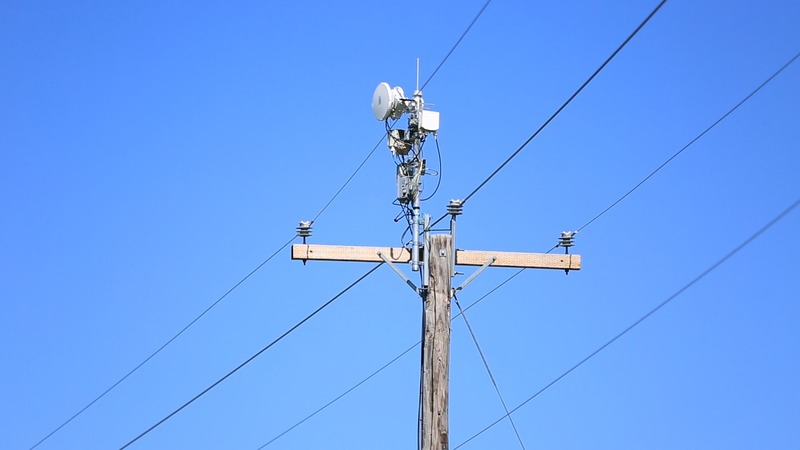 Through these various technologies, AT&T wants to be able to inexpensively distribute its network into places and at speeds that were never before possible without extremely costly fiber line or cell tower deployments. It's actually brilliant. Think of it like this: you live in a building in a suburb. Your carrier gets essentially no signal inside of your place, but is fine outside. Your ISP offers limited speeds. Sure, you have your own Wi-Fi for internet, but what about phone calls and SMS? Well, a personal small cell device hooked into your router could solve this, but it's a relatively costly and imperfect solution, and it really only helps you and maybe your neighbor on one side of his apartment. And that small cell site is only as good as your ISP. How could your wireless carrier fix this? They could construct a new cellular tower, but the cost of that - let alone finding a place they'd be allowed to put it - is enormous, and a new tower isn't even guaranteed to the fix the problem for everyone. Plus, there's no way that tower would be cost-effective in a region with middling population density (common in the US). So apart from digging fiber access into everyone's homes and buildings and giving them personal cellular access points, which would be a bankrupting endeavor, this isn't an easy problem to solve. But what if you could just toss strategically-placed, smaller wireless access points offering 4G (or Wi-Fi, or eventually 5G) signal to several blocks of residences? That's a great idea - basically, small cell sites - but every one of those sites needs to make its way back to a fiber line, and if your street doesn't have fiber, that's going to be insanely expensive to do. AT&T thinks there's another way. 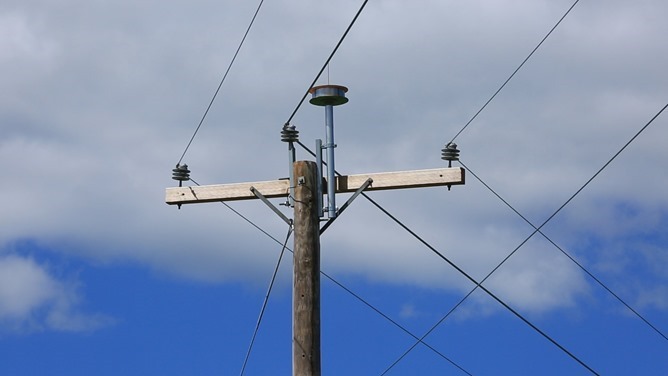 Let's say you do the small cell sites, but instead of having to hook them up to fiber, they simply send out and receive everything over the air using ultra-quick millimeter waves - via repeaters and antennas that dot the power lines in your neighborhood - no wired access required. 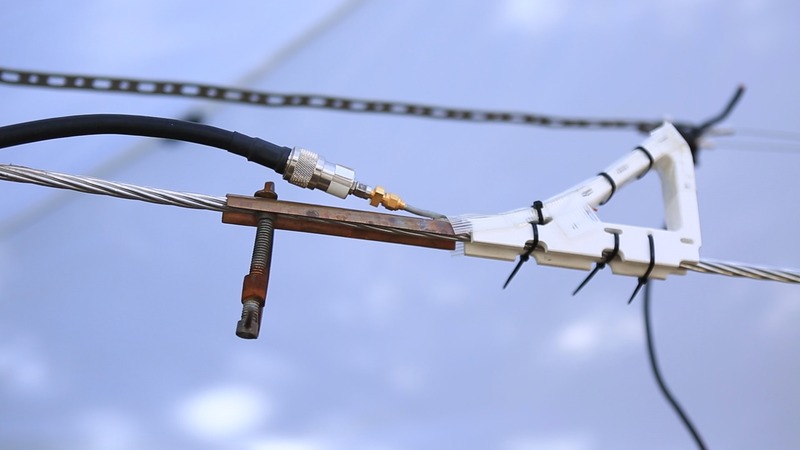 But eventually fast, high-bandwidth signal makes its way to a point on the network where wired fiber line access is available, and it's then business as usual. And probably with much faster speeds for you, the end user, because your access point is shared with far fewer people than a region-covering cell tower, and moves along a much "fatter" pipe at lower latency. No digging up streets, no building new ugly cell phone towers, and much less money spent overall. Now, I'm not a networking expert - that much should be obvious. But I can easily see the potential of what AT&T is describing here. It's truly impressive, mind-blowing stuff. AT&T says this technology has implications for rural, suburban, and urban environments - and I believe them. Live in a mid-rise apartment built when Eisenhower was president? Hauling in fiber and complete building ethernet probably isn't on the table. But a few wireless access points placed throughout the building with a signal repeater on the roof? Much less daunting. Live off the beaten path in a small town where satellite internet is the only option? Electric lines probably eventually make their way back to a cell tower or utility hub. Your next question I assume: is this 5G? And the answer there is trickier. AT&T's vision is what I would call the exoskeleton of a 5G network - it very much looks like a 5G network and is constructed with the concerns of one (and uses 5G technologies like millimeter wave), but it seems more like AT&T is laying the groundwork and basic vision necessary to make 5G a reality. This idea isn't itself 5G, because much of it could be done with 4G technology. But it's the sort of network model that would very, very much benefit from the things 5G has to offer. Again, I'm not a networking engineer, and my knowledge on this subject matter is limited. But I've been doing a fair bit of 5G research lately, and when AT&T put out this press release today, it was the first time I had that "light bulb" moment about how and why 5G is the way forward. Certainly, faster speeds and lower latencies are coming, but the future of mobile networks is probably most going to change how even traditional internet access itself is viewed, and hopefully vastly increase its availability. AT&T plans to begin field trials of its AirGig initiative next year.